Home buying can be exhausting. You spend weeks or months trying to find a place with the perfect floor plan, the right amount of windows, and the perfect number of outlets. Maybe you get lucky by finding a home that meets all your criteria and your budget, but maybe that dream home does not exist. That is where we come in. 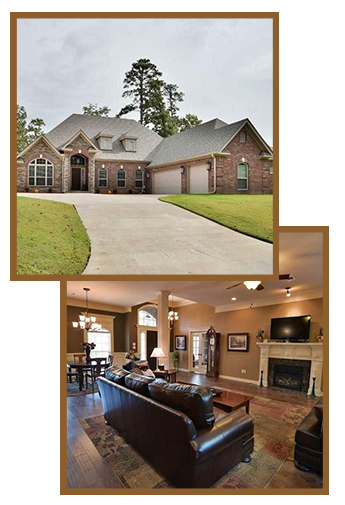 At JOHN WRIGHT Construction Co in North Little Rock, Arkansas, we are a group of custom home builders who are dedicated to using high-quality materials to give you exactly what you want. From design to financing, our construction company walks you through every step of the process. When you are ready to develop that empty lot, our crew is here to help you. Our drafting department helps you draw up plans and design your building. Then we make sure that all the pertinent paperwork is in order. We arrange for all the building permits, and we are also able to help with arranging financing. The size and cost of our homes are dictated by your requests. Our projects start as small as 1,300 square feet and are priced as low as $180,000.00. All of our homes come with a one-year builder's warranty.